Keeping you and your students organized throughout the year is one of the hardest parts of classroom management! 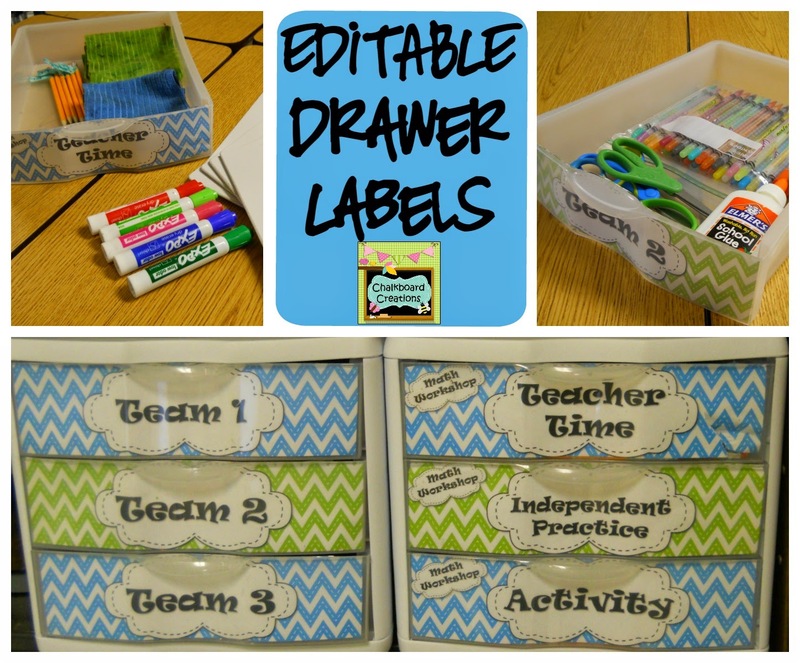 I created these drawer labels mainly to keep my own classroom in order and it has been amazing! I have the traditional “Copy, File, and Grade” drawers on my teacher desk, but I also have two sets of drawers that the students use daily. The “Team” drawers on the left are designated for each table of students in my class. The drawers on the right are designated for use just during my math workshop time. These drawers have seriously made my life so much easier! I also feel like we save a lot of time not having to wait for students to find their supplies. 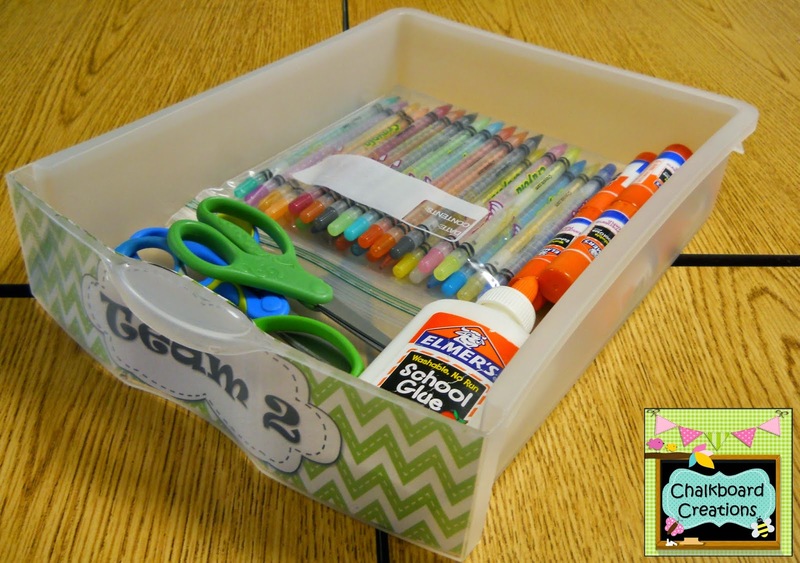 Each team drawer contains several sets of colored pencils, a couple bottles of white glue, and enough glue sticks and scissors for each member of the group. These have been especially helpful for creating our Math and Language Arts Interactive Journals this year! I have 3 center rotations in my class for Math Workshop. Each center gets its own drawer and the students are responsible for getting them, putting them away, and keeping them organized. This is an example of my “Teacher Time” drawer. 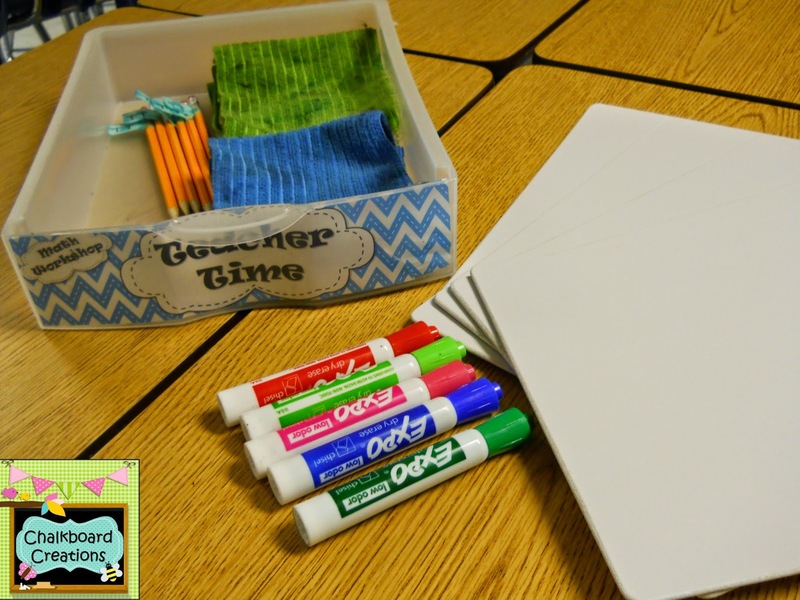 It contains individual white boards, markers, pencils, and clothes to wipe the white boards. In our “Independent Practice” drawer there are pencils and big erasers. In the “Activity” drawer I keep pencils, colored pencils, scissors, and glue sticks. Also, each day I put the activity materials in the drawer for that day. PLUS Editable labels of each color are included for meeting any of your other organizational needs! Stop by my store today to get your classroom organized!